When you look in magazines and in TV advertisements, the best makeup looks like the women aren't wearing any. One feature, such as eyes or lips, is accented while the rest of the face is neutral. Achieving this look is easier than you think. There are five easy steps in which you can accentuate your best features in 5 easy steps. 1. First, find a foundation that matches your skin tone. If you can, choose three shades and put a swipe of each on your face, going from your cheek to your jawline. Whichever one looks like it disappears is the one you want. Apply it all over your face. 2. Next, use your concealer or highlighter. 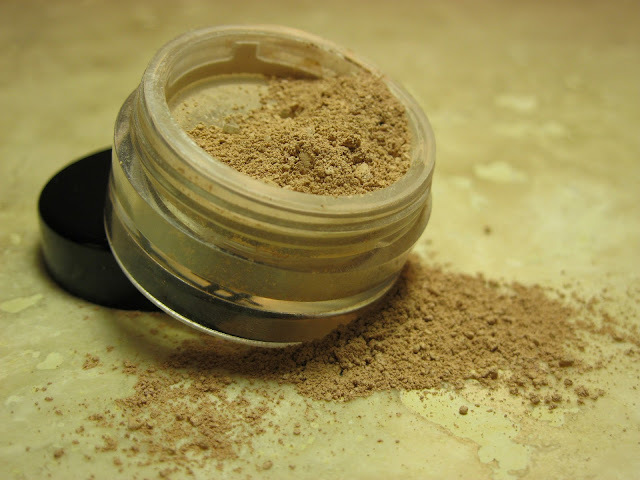 For years, I thought (and was taught) that you put concealer/highlighter on before foundation. That works, but it's not the best way to do it. Apply your foundation, then your concealer or highlighter. You won't need to use as much of it this way. 3. What color of blush should you use? This always stumped me. Then I read that you should choose a blush that is closest to your natural blushing color. Use your fingers or a specialized brush to apply the blush to your cheekbones in a circular motion. Put it on the widest part of your cheeks when you smile. This naturally accentuates your cheekbones and facial structure. Before going to step 4, decide which you want to play up: Your lips or your eyes? For people who wear glasses, I recommend playing up lips, but the choice is entirely up to you. 4. To play up your eyes: Choose a color palette that makes your eyes stand out. For best results, look at a color wheel. Find your eye color and see what shade is opposite that on the color wheel. Use a palette in that color family. You can do up your eyes in different ways. The standard look uses three colors: lightest at your brow bone, medium at the crease, and darkest on the eyelid. 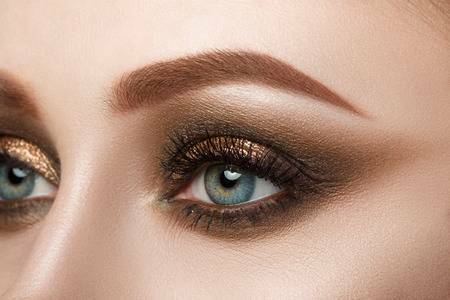 Blend your eye shadow afterward using either a brush or your ring finger since that's the weakest finger on your hand and will do the least damage to your eyes. For a smoky eye, you can use any color you want. Smoky doesn't mean it has to be black. Using your preferred color palette, do your eye as with the standard look, but don't blend as much. Also, put the darkest shadow under your eye and smudge it. For a change of pace, use the lightest color from your brow bone to the crease. Put eye shadow on your blush and pat it on instead of brushing it. This gives a more intense color wash. Use the darkest color as your eyeliner. Finish the look with your favorite eyeliner and mascara. For a neutral eye, use a combination of creams, tans, and browns and use the standard eye look. 5. To play up your lips: If you have it, use a lip primer to reduce the look of lines in your lips, especially if they are dry. Line your lips with a matching color or a clear lip liner. If you have thin lips, the line just outside your natural lip line to make them look fuller. 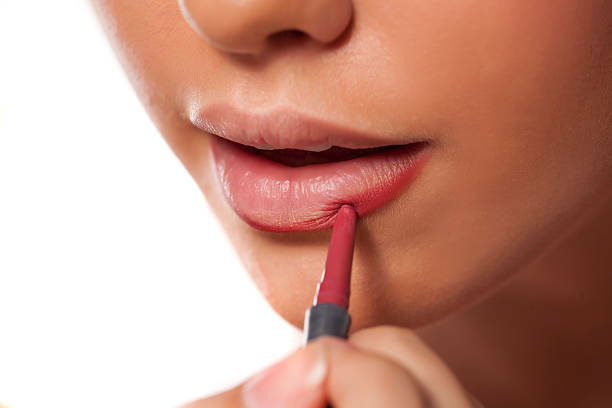 Use the liner all over your lips to help your lipstick last longer and prevent bleeding outside the lines. Apply your favorite lipstick shade. For dramatic lips, you can't go wrong with a classic red. Another way to make your lipstick last longer is to use a clear lip gloss over your color. You can also play with color and change color depending on the lip gloss you use over your lipstick. If you prefer a matte look, you can even just wear the lip liner over your entire lips. There are many ways to play up your best features, whether that is your skin tone, lips, cheekbones, or eyes. These five steps are the easiest (and quickest) way to achieve the look you want.